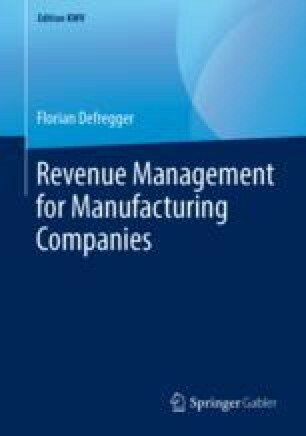 In this chapter a basic quantitative model for applying revenue management to a manufacturing company is presented, following the paper of Kniker and Burman (2001). Furthermore, we compare different solution procedures for evaluating a policy and solving the decision model and we present a heuristic procedure for solving the decision model. Numerical results show that applying revenue management can have a distinct advantage over a simple first-come-first-served (FCFS) policy and that the heuristic procedure is useful for finding good policies for large problem instances.